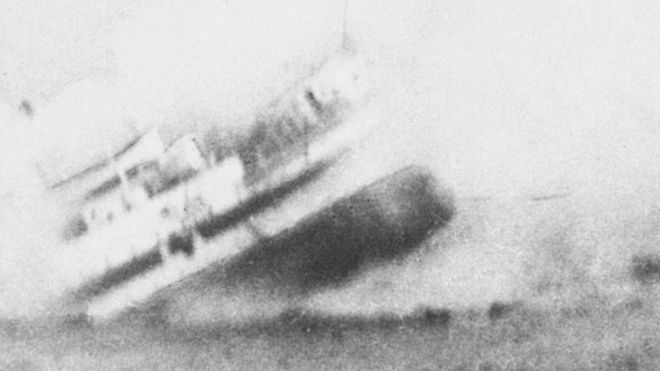 About 160 people died when HMS Anglia struck a German mine close to the Kent coast on 17 November 1915. The ship was carrying soldiers, some severely injured in the Battle of Loos, back from France to England. It has now been included in a new list of wrecks covered by the Protection of Military Remains Act. Historian Dr Peter Marsden said it was "wonderful to have succeeded at long last" but he was highly critical of the Ministry of Defence (MoD). "This huge story lying on the sea bed needs protection. It shouldn't take years and years to get it done," he said. "It's not just protection of the objects that might be taken by divers, it's the recognition by the government that these are the people who died in service to their country."